So do you like the warm, North-African amberfest Serge Lutens, or do you prefer his cold, austere, Northern European perfumes? I know this is a rather simplistic division- it’s just a question I asked myself when I visited his boutique at the Palais Royal for the first time. Ah, purple, my favorite color! I own Chergui, which I wear only in the hot, dry weather of the Alpine autumn, and Rousse, which, being a redhead, I think of as a signature scent, and a lot of fun to boot! But beyond the Land of Serge, I prefer cold scents, mean and green, such as Un Jardin Sur le Nil, Niki de St. Phalle, Bel Respiro, and the original Cristalle. So I proferred one wrist to sample Forreau Noir, and the other to try Bas de Soie. A mere 10 minutes later, I’d already bought the aptly named Bas de Soie. Like silk, it’s cold yet warm, smooth yet nubbly, and thoroughly sensual. The soaring top of Bas de Soie is dark green with galbanum, and neon purple with hyacinth and aldehydes. The galbanum is ashtray-free, by the way, perhaps one of the new slimmed-down, or synthetic galbanums. The icy facets of iris dominate the scent, with some discreet soapy notes, and a little powder. The heart is quite sweet, though they told me I wear Bas de Soie much more sweetly than most (aaah…). The drydown is a soft and subtle skin scent of musk, light powder, and whispered florals. This is an elegant, icy perfume with a tender heart. It’s perfect for refined evenings but wears beautifully during the daytime. Serge Lutens has been playing with cold, restrained compositions for a few years now, but I think with Bas de Soie, he really hit home. 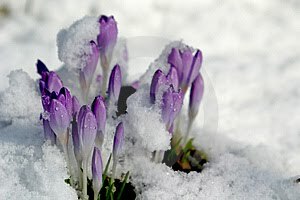 Fortunately, it will not be a boutique exclusive, so we will all be able to try this new creation of snow and crocuses. If you would like a chance to try a sample of Bas de Soie, let me know which are your top 3 Serges! Purple is one of my favorite colors as well - Bas de Soie sounds lovely- so glad that it isn't an exclusive! I like Chergui, though not as much as I expected to- but once in a while, when the temperature and chemistry is right- it *is* very enjoyable. Oh and I'd love to be entered in the draw! My top three would have to be four: Bois de Violette, Rose de Nuit, Iris Silver Mist and Tubereuse Criminelle. I have been on a hyacinth AND iris streak lately and Bas de Soie sounds indeed silky smooth. Although, Bois et Fruits is right up there -- it's so much like Feminite du Bois, and it's hard for me to decide between them. FdB is the sentimental favorite though. And A La Nuit really deserves a place in my top 3, as I love it so much. Oh -- and I forgot Daim Blond, which I haven't worn in forever. Goodness, this seemed like such an easy question at first! I would love to be entered in the draw!! ...and Cedre, Fleurs de Citronnier, Ambre Sultan too. My top 3 at the moment (it tends to change with SL): Santal Blanc, Fleurs d'Oranger and Serge Noir. It IS hard to narrow it all down to 3 favorites, isn't it? Now you all are making me want to go back and revisit all the Serges! I would sooo love to test Bas de soie ! It's interesting that a lot of you love ISM, I do, too, though it couldn't be more different in character from BdS. I find ISM more wild, vegetal, and earthy. BdS is extremely refined, though both perfumes share the iris note. ISM's iris is more garden-virtual, BdS's, more like the iris of Hiris or Iris Poudre. Nice review! I'd love to be included in the draw. My three favorite from SL are La Myrrhe, Chergui and Ambre Sultan. Top 3 (verrrry difficult): Chergui, Rose de Nuit, Muscs Koublai Khan-----and Bois de Violette. TC if I can layer it with, say, Cuir d'Arabie (killer!) This sounds interesting. MKK, Ambre Sultan and FdO. Anyway, I try all my SL samples all the time and I could wear any of them. None that I couldn't. Would love to be in the draw! I'd love to try this new Lutens. Please include me in the draw! Thank you! Hmm....Mine are Douyce Amere, Chergui and Fourreau. Cant wait to try the two new ones! Easy-peasy: Chergui, Ambre Sultan, and Datura Noir. Chergui's so fine. For a gay man, there's nothing like walking into a lady's home, having her greet you with a hug, and remarking, "You smell inCREDible!" My top 3 are Fourreau Noir, Rousse and El Attarine :), would love to try the new one. Thanks you for offering sample. I bought my husband some for X-mas but it was really my somewhat sneaky way of getting a gift for him that I wanted also! So dying to try this one! Please pick me. :) Top 3: Sa Majeste La Rose, Chergui, and Fumerie Turque. I haven't tried them all..there are so many! But I love the richness of Ambre Sultan, the retroness of Daim Blond, and I think the comfort quality of FiveOClock. Looking forward to reading what other fumistas favourites are. I already have a sample so you don't have to enter me in the drawing, but I have to say, for me, Bas de Soie is perfect. I love its coldness and although I know people have equated this perfume to the color blue, for me I feel cold white or chilly cold purple more blue purple than redish purple. Purple is a beautiful color and one of the reasons I bought Sarassins! Still, my top three Lutens is undeniably Serge Noir, Cuir Mauresque, and Vetiver Oriental. But I own a lot more! Top three SL's are Tubereuse Criminelle, Chergui and Iris Silver Mist. SL isn't my favorite house (I know, sacrilege) but I do love Chergui, and I like Fille en Aiguilles very much on my homme, and I love the trashiness of Datura Noir layered with Un Bois Vanille. Favorite or no, I'd love to try a sample! i like feminite du bois and iris silver mist and i love daim blond. i would like to love bas de soie. Base de Soie is really piquing my curiousity - would love to be in the draw. I think I will be loving this one! No need to enter me, I can get a sample at my local shop, SO glad Bas de Soie is not an Exclusive range release! I will still tell you my top 3 Serges though - but stopping at three is almost impossible! Won't throw my hat in (I can wait) but I am a fan of spicy Serge and floral Serge--Chergui, Feminite du Bois, and Bois Vanille, but also A La Nuit, Sarrasins, and Fleurs d'Oranger. Though Bas de Soie sounds wonderful. Thanks for the compelling review and the draw. Chergui- easily in first, then I waffle about.Vetiver Oriental might be second, but generally not on me.And Iris Silver Mist. That Bas des Soie...I was able to try it on skin, oh so briefly, in The Temple Itself. It was...nice and pretty, quite lovely...neither amberfest nor austere cold. Oh, dear. I do like my chilly frags, including Niki and Bel Respiro, which actually aren't sharp on me...but oh, No 19 and it's first act... BdS did not seem like it would fall in that category for me. I really would like to spend more time with it to figure out if there's more going on there that I was able to get. Mmmm, I'm wearing some Chene today, it really is foresty heaven, isn't it? Someone else (Lavanya) has already listed my favourites...weird!!! ...BUT I haven't tried many of the others -- I expect to love Iris Silver Mist and several others. I have only tried 2 Serge Lutens and they are gorgeous enough to be favorites. I would love to make Bas de Soie a third fav. Please enter me in the draw! Aside from the fact that this scent is simply refreshing, it can also make someone feel relaxed and feel fresh all throughout the day.. One of my favorites would include the Bvlgari and of course, Anne Klein.. I think I must be the only girl who doesn't like Chergui at all! Chene would be a good one for layering, and actually, lots of people find Chergui a bit, how can I put it...overwhelming! But you must admit, it's unique! 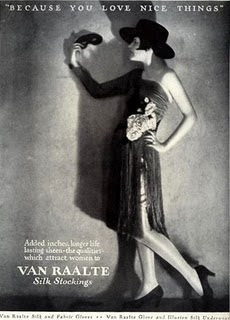 I've heard of some comparisons with Chanel no. 19, which is one of my top fives of all time, so I'd love to try this, so please enter me in the draw! 3) I might be a loner here, but La Myrrhe blows my mind, it's so stunning. Oh, I love La Myrrhe, too, and see a bottle of it somewhere in my future! I'd love to try this new one! With all the new offerings coming out these days I feel I've let Serge fall to the wayside a bit. My three favorites are Arabie, Ambre Sultan, and Fumerie Turque though I love MKK, Iris Silver Mist and Santal de Mysore as well. Un Lys, Feminite du Bois and Clair de Musc are my favorite Lutens fragrances. I also like Sa Majeste La Rose. I would love to win a sample of Bas de Soie! Ooh, fun! My top three: Ambre Sultan, Fumerie Turque, and Sarrasins. I also love Muscs Koublai Khan and Vetiver Oriental. I would also love to enter the drawing. How can one pick just 3?!? i like a lot of Serge's creations, but my favorites are Al Attarine, Bois et Fruits & Mandarin Mandarine. the 4th would be Vertiver Oriental - i like the note of chocolate in it. i'd love to try Bas de Soie, its always intresting to try SL perfumes! Cool scent of perfume could be good when summer start to begin. Most perfume in this generation are really common but in this article it is good that you have shared an ideas to the perfume users, how they will be able to have a good choice on what are they are going to buy when its summer time. We likewise been concern about this in our store to put some details or a description for every scent, perfume or fragrance that we have online. So buyers from us could really know what they are getting from us.